Translation for “U R not alone” by NEWS, on the NEVERLAND album. Lyrics and music by GReeeeN. I am standing here now. I am still continuing to reach for. and the weakling inside me laughed. so with these broken legs (hey) I will somehow keep standing. For example, if this voice could reach, would anyone listen? I vow to never back down and never surrender. I will risk everything for the path I chose. To accomplish it so I can be able to smile. I blamed someone else for it and escaped. And thus I kept on loosing to myself. Even so (hey!) I am still fighting on. There are surely other people who are like that too. You decided to go that place you aimed for, didn’t you? Haven’t we already gone through everyday until now? Because of this, we will face the headwind that’s blowing here. The me up until yesterday? We overcame this together, didn’t we? 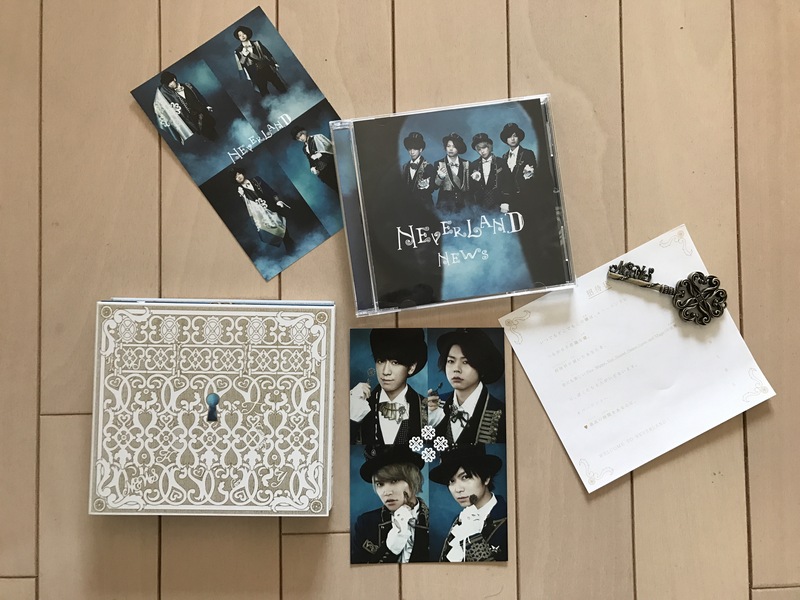 “U R not alone” sung by NEWS from their Neverland album was one of the hardest things that I have translated from Japanese to English because I really wanted to give justice to this song. I don’t think I fully did because of my own language skills and I feel like English doesn’t even come close to being able to convey the meaning of the song, but I wanted to give the fans who can’t understand Japanese just a bit of an idea of the deep meaning the song has. I will always be grateful to have heard this song live and have heard the rawness of NEWS’s voices when they sang it. It is so relatable to me, and to everyone I think, as everyone struggles with things in their life and want to give up at some point. It made me cry so hard in Sapporo and I had to hold back crying when I saw it in Nagoya with my boyfriend (as I would have been totally embarrassing, right?). I really feel that it’s so true. Sometimes I felt like my dream of moving to Japan and creating a life here was laughed at sometimes, but I’m still here and continuing to live that dream. The oath in the song about not backing down or surrendering is something that after I heard this song, I vowed to myself that I will give everything I have and never give up, even if I am doubled over in pain and want to give up. I hope that everyone that listens to this song will feel the same way and receive that power, just like it did for me. I am still actively learning Japanese and I am not a professional translator, so if I translated something wrong or want an explanation on why I translated it the way I did, please comment below!